Want a better fitting shirt, but too lazy to reach for the tape measure? Try ProperCloth’s new Smart Sizes technique. 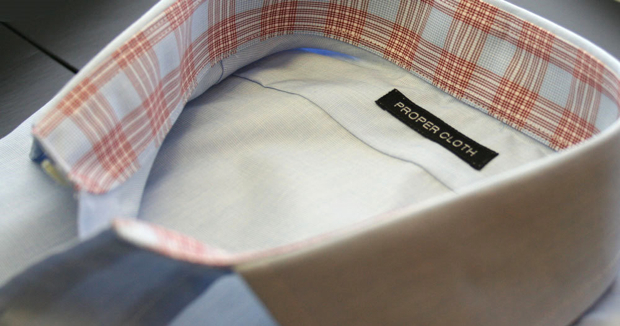 Today the online dress shirt dealer ProperCloth launches a new system called “Smart Sizes,” which aims to take lazy, style-challenged customers and deliver them expertly tailored shirts. Usually, men who want to buy a dress shirt online have two options. If you’re a control freak or fashionista, you’ll get out your tape measure and check the length of your arms, the width of your chest, the circumference of your neck, and so on. If you’re lazy and have little fashion sense (which is more likely–you’re ordering this online, after all), you’ll bypass the virtual tailor, click “small,” “medium,” or “large,” and cross your fingers. Even so, “most of these questions an average guy can answer,” says Skerritt. And should they get to that level, there will be more survey questions for them to return to–and eventually, someday, a tape measure for them to pick up.